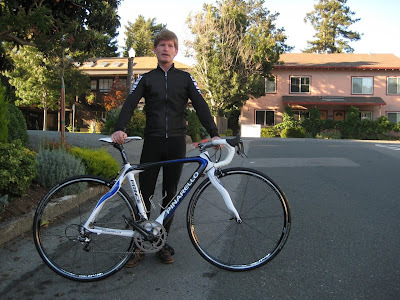 Brad O. just picked up his brand new Pinarello Prince last week. 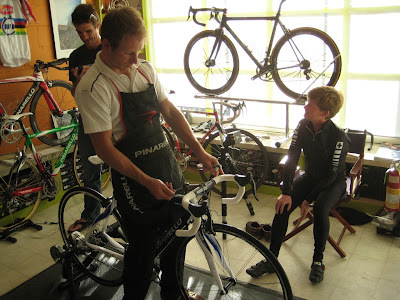 After a pro fit with Craig and a pro build by Chad, Brad is ready to roll. Chad fine-tunes the cockpit as Craig performs some final calculations and Brad looks on eagerly. Brad and his new Pinarello outside Above Category. Enjoy!